The fashion suckers of our country bow towards whatever the fashion industry exhibits. 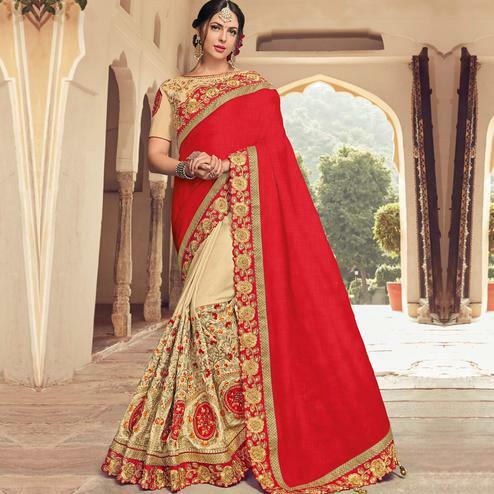 One of their latest and best innovations is plain saree with designer blouse. This trend took a jibe at all the other trends of the time. 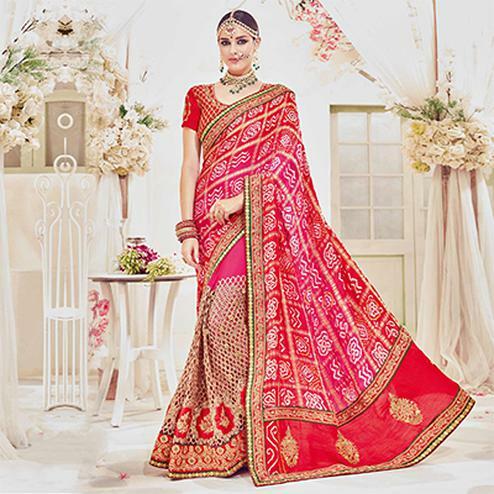 Peachmode brings you the most sensational designer blouse saree collection of all time. It will compliment your grace, your style, your demeanor and everything else about you. 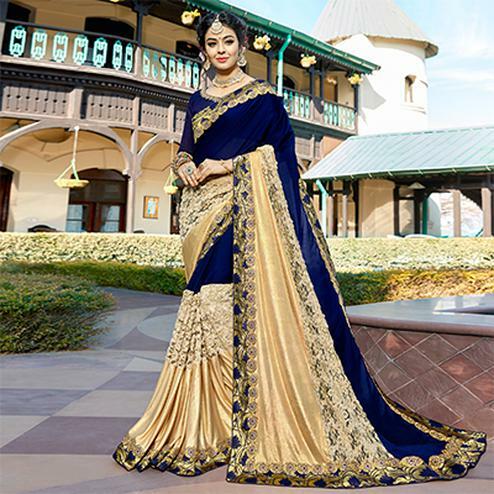 This particular style of wearing a saree was designed for almost every occasion be it an office party, a family occasion, relatives anniversary or any ceremonial function. 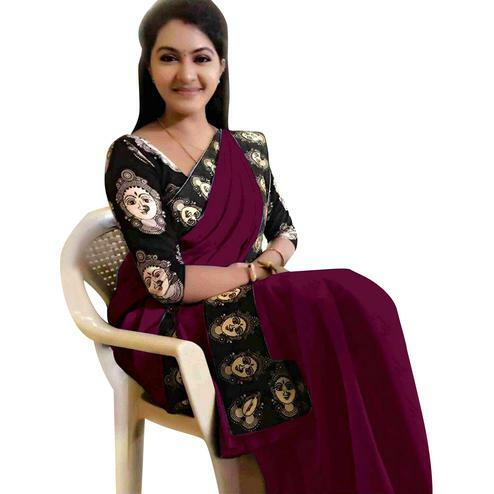 You can buy simple saree with designer blouse online only at peachmode. It comes in huge range and variety. 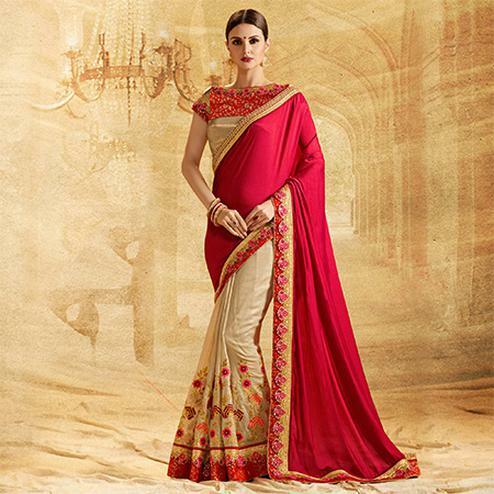 You can buy plain chiffon saree with designer blouse or a silk saree, cotton saree, georgette saree, net saree etc. 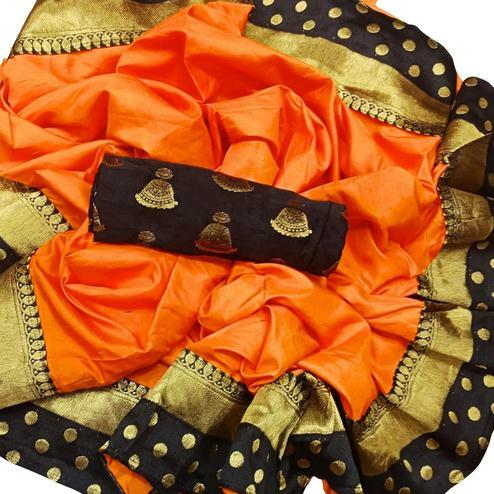 all the sarees comes with mind-blowing designer blouses. Our fashion designers have put a whole lot of effort to bring you their best work. The cuts and patterns given in the blouses are very unique and new. Such beautifully cut out neck designs complete these intricate blouse pieces. Step inside peachmode and find unbelievable deals on our designer blouse collection. The prices offered will blow your mind and you can never stop yourself from buying from us again. It gives you amazing quality combined with a series of thrilling styles that you can check out. Peachmode is one of the leading designer platforms selling authentic ethnic wear. 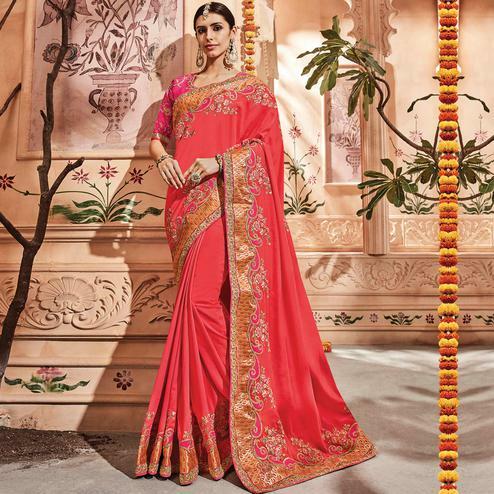 The whole idea behind this style is wearing a plain saree with maybe few motifs or a heavy border or a heavy waist belt with a very heavy designer blouse. You can add jewellery like heavy danglers or maybe big studs to go with the look. You may want to kill the neckpiece with this particular type of style, as your stylish blouse will capture all its attention. 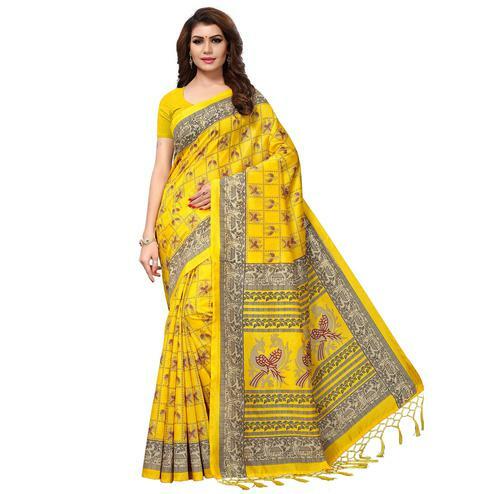 Online shopping gives you diversity of designs, smart choices and cost effective prices to fill your carts with amazing sarees online for yourself.